30 large fires have burned nearly 180,000 acres. 20 new large fires were reported in nine states. More than 8,000 firefighters and support personnel are assigned to wildfires across the country. Firefighters contained 11 wildfires on Tuesday, June 27, 2017. At 2 p.m. MDT on Wednesday, June 28, 2017, the National Multiagency Coordinating Group increased the national preparedness level to PL3 due to the increase in large fire activity in multiple geographic areas.” – The National Interagency Fire Center. Fire Unit/Agency: Tanana Zone, BLM. Location: 76 miles NW of Anaktuvuk, AK. Short grass. Fire Behavior: Minimal fire behavior. Size/Containment Status: 434 acres, 0%. Resources: 0 resources. CTD: $4,000. Fire Unit: Coronado National Forest Location: 4 miles South of Arivaca, AZ. Fire Fuels: tall grass and brush. Fire Behavior: Moderate fire. Backing. Flanking. Size: 2,400 acres. Containment Status: 50%. Resources: 147 personnel. 5 crews. 9 engines. 1 helicopter. CTD: $400,000. Fire Unit: AZ DOF. Start Date/Time: June 28, 2017 @ 1730 hours. Location: Located 30 miles east of Kingman along Route 66, between the communities of Hackberry and Valentine. Cause: Unknown. Fire Fuels: Dry vegetation, including grasses and brush. Resources: Total 50 personnel. Fire crews from the Department of Forestry and Fire Management are en route to assist the Mohave County-area fire crews. Current Tactics: Focusing on structure protection and fire suppression. Evacuations: Valentine is in a pre-evacuation status. Road Closures: State Route 66 is scheduled to be closed until midnight Wednesday, June 28, 2017. Fire Unit: Southwest Area. AZ DOF. Location: 13 miles West of Amado, Arizona. Fire Fuels: Short grass and brush. Fire Behavior: Minimal. Smoldering. Closures: Roads, area and trails. Size: 1,200 acres. Containment Status: 0%. Resources: 94 personnel. 3 crews. 3 helicopters. CTD: $40,000. Location: SE Area on Arizona Department of Forestry lands. 13 miles West of Amado, Arizona. Fire Behavior: Minimal. Size: 1,024 acres of short grass and brush consumed. Containment Statuts: 60% Resources: 96 personnel with 3 crews, 5 engines and 3 helos. CTD: $100,000 . Fire Unit/Agency: AZ DOF. Start Date/Time: June 27th @ 1715 hours. Cause: Unknown. Size/Containment: 1,600 acres, 0%. Location: 10 Miles East of Elfrida, Arizona. A few miles from the Saddle Fire. Fire Fuels: Grass and brush. Personnel: 50. Fire Weather: Dry and breezy conditions. There were 37 wildfires that were reported on Wednesday, June 28th with 3 of them being new starts and 4 being not contained wildfires, says the National Interagency Coordination Center for the United States. Start Date/Time: June 28th prior to 1400 hours. Location: near Horse Mountain southeast of Tulelake in California. Resources: Modoc National Forest, Modoc County, CALFIRE and multiple other agencies. Size: 562 acres. Containment Status: 0%. Start Date/Time: June 27th @ 1557 hours. Fire District/Agency: Within the Kern River Ranger District of the Sequoia National Forest. Located: Community of Riverkern, 5 miles north of the town of Kernville, California. Cause: Unknown. Size/Containment Status: 108 acres, 90% Resources: 50 personnel. Start Date/Time: June 28th @ 1549 hours. Location: off Ben Hur Road and Silver Bar Road in Mariposa County, California. Unit: CAL FIRE – Madera – Merced – Mariposa. Size: 800 acres. Containment Status: 0%. Start/Date Time: June 28, 2017. Location: Off Cristianitos and Talega Roads on Camp Pendleton Marine Corps Base near the San Mateo Campground. 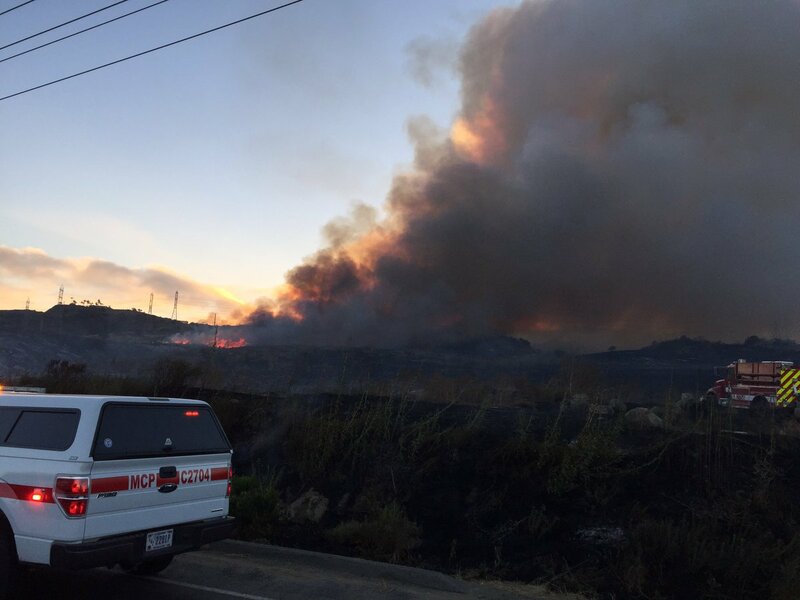 Command: Unified Command with OCFD and Camp Pendleton Fire. 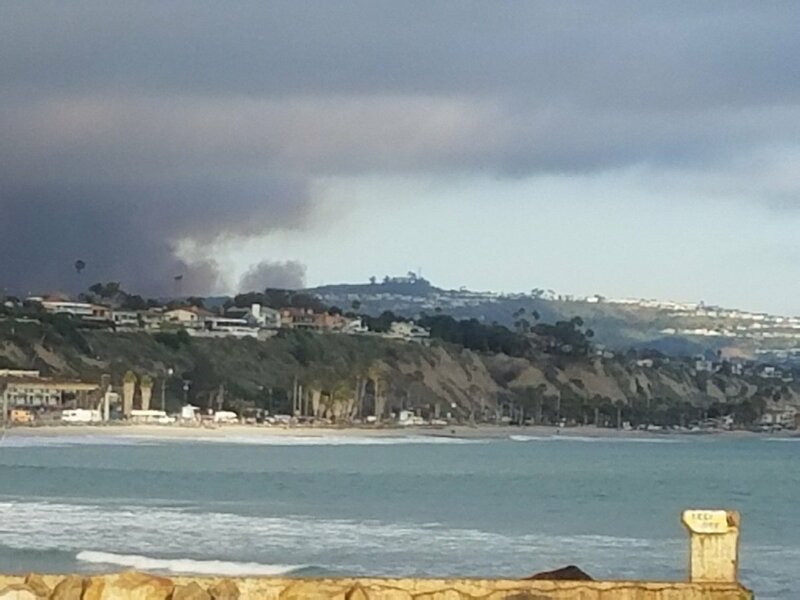 Fire Conditions: This vegetation fire that is located is now threatening structures to North San Clemente, California. Air Resources: Aircraft making good progress. Planned night operations with air support in the planning stages. Personnel/Equipment: Multiple strike teams are also on-scene. 300 firefighters are assigned. Mobilizing the U.S. Forest Service night flying helicopter & fixed wing air attack, say Military Officials. Evacuations: No evacuations as of yet. Date/Time Started: June 26th @ 1527 hours. Cause: Unknown. 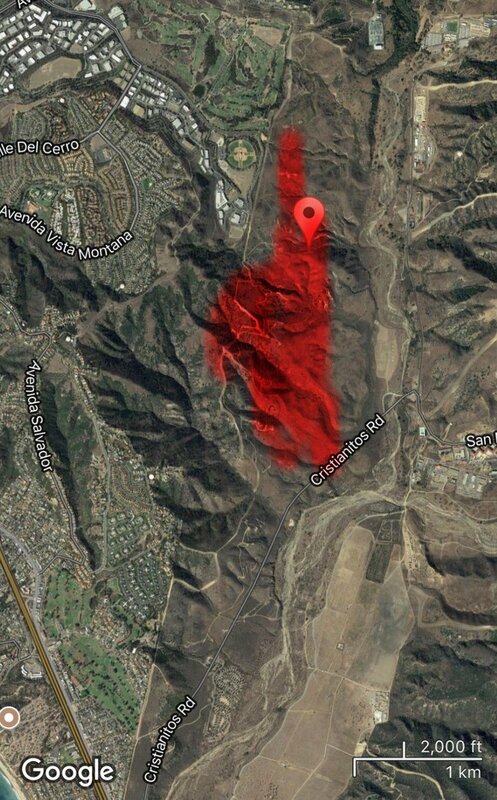 Fire Unit: CAL FIRE – San Obispo Location: Park Hill Road and La Entrada, east of Santa Margarita Resources: Unknown. Current Conditions: 1,598 acres. 75% contained. Date/Time Started: June 26th @ 1510 hours. Cause: Traffic Collison with fire. Fire Unit: Riverside Unit &Cal Fire. Location: 3 miles South of Beaumont and Lambs Canyon (Highway 79 N) Near Dump Road in California . Fire Fuels: Tall grass and chaparral. Evacuations: All Orders have been lifted. Fire Behavior: Moderate fire behavior with creeping and smoldering. Resources: 2 ambulances, 575 firefighters, Police Department, EMD, PIO, Fire Investigator, Utilities, 3 crews, 47 engines, 30 overhead support personnel, 1 helo, 15 water tenders, 6 dozers assigned. Threats: Numerous residences threatened. Closures: Road, area and trail closures in effect. Size: 6,309 acres. Containment Status: 77%. Fire Unit: San Bernardino National Forest . Location: Two miles northeast of Highland, CA. Fire fuels: Tall grass and chaparral. Fire Behavior: Active fire behavior with uphill runs, short-range spotting and wind-driven runs. Threats: Numerous residences threatened. Closures: Road, area and trail closures in effect. Fire Unit: Sequoia NF. Location: 17 miles North of Kernville, CA. Fire Fuels: Brush and timber. Fire Behavior: Moderate activity with backing and flanking. Closures: Trails. Size/Containment Status: 586 acres, 0%. Resources: 24 personnel. 1 engine. 1 helicopter. CTD: $17,000. Fire Unit: San Juan National Forest. Location: Located in the Ryman Creek area of the Dolores Ranger District about 7 miles South of Rico, Colorado. Start Date/Time: June 23 @ 1500 hours. Fire Fuels: Heavy dead and down mixed conifer forests, spruce and fir. Cause: Lightning. Size/Containment Status: 75 acres, 0%. Resources: 65 personnel. 1 Type 3 IMT. Fire Unit: Florida Forest Service. Location: 3 miles NW of Rockledge, Florida. Size/Containment: 4,500 acres, 70% containment. Fire Fuels: Short grass. Fire Behavior: Moderate fire behavior. Resources: 1 personnel. 1 engine. CTD: $1,000. Fire Unit: Boise District, BLM. Location: 10 miles NW of Mountain Home, ID. Fire Fuels: Short grass. Fire Behavior: Minimal fire behavior with smoldering. Size: 900 acres. Containment Status: 80%. Resources: 4 personnel. 1 engine. CTD: $10,000. Location: Idaho Falls District on BLM land and 25 miles SE of Malta, Idaho. Fire Fuels: Short grass. Fire Behavior: Active fire behavior with running. Size: 3,000 acres. Containment Status: 65%. Resources: 59 personnel. 13 engines. CTD: $150,000. Location: 30 miles South of Socorro, New Mexico. Fire District: Southeast District of New Mexico State Forestry lands. Fire Fuels: Chaparral and hardwood litter. Fire Behavior: Extreme fire behavior with crowing and torching. Threats: Residences are under direct threat. Size/Containment Status: 836 acres have been destroyed but there is a 25% containment status. Resources: There are 111 personnel on the wildfire along with 3 crews, 11 engines and 1 helicopter. Cost-to-date has reached $120,000. Camp Pendleton Fire. Photo Credit: Camp Pendleton 75. Fire Unit: McFaddin National Wildlife Refuge, FWS. Location: 9 miles Eastof High Island, TX. Fire Fuels: Tall grass. Fire Behavior: Moderate fire behavior. Acres/Containment Status: 500 acres, 0% contained. Resources: 2 personnel. CTD: $1,000. Fire Unit: Salt Lake Field Office, BLM. Location: Short grass and brush. Fire Behavior: Active fire behavior with wind-driven runs. 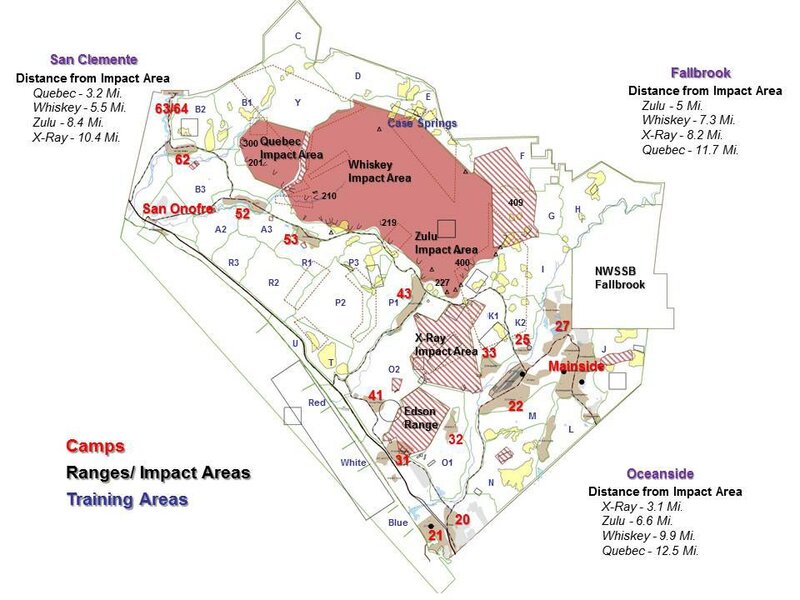 Size/Containment: 8,146 acres, 80%. Resources: 45 personnel. 10 engines. CTD: $175,000.